The gas markets of the Baltic States are facing a turning point. The full liberalization of the Latvian natural gas market has already been achieved. With the completion of the gas pipeline between Poland and Lithuania (GIPL), the Baltic States will be given the lack of an infrastructural link to the European gas market. 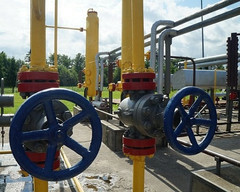 The implementation of the gas interconnection pipeline between Estonia and Finland (Balticconnector) is also coming closer. What are the principles and mechanisms of the common Baltic gas market? Which market players will act on the Baltic energy market? What are the consequences for gas consumers? In the three conferences, the foreign and domestic experts, companies and politicians will discuss the current state of the region, with a focus on the respective target market, in the form of a presentation or panel discussions. In terms of content, the conferences will cover an analysis of the economic environment and the modeling of the market development scenario, taking into account the implementation of infrastructure projects in the region by the year 2020. Conference: "The Baltic Energy Island - Finally Integrated into the European Gas Market"
Focus theme in Tallinn: Free gas market: How does the free gas market in the Baltic States work? What does the private sector need?